By the Grace of Almighty Allah, Shaheed Foundation Pakistan is serving the families of Martyrs of Millat-e-Jaffaria, in an efficient and transparent manner for well over a decade now. This is a sensitive and sacred responsibility entrusted to this organization, keeping in view the delicacies of real life problems faced by the heirs of a matyr after his selfless sacrifice for the nation. Not only the material resources suddenly start to deplete after the tragedy but the trauma also leaves deep emotional scars. For this purpose, the following departments are working for the serving of the families of Martyrs of Millat. This department is responsible for take care the problems and other relative issues of Shohada Families. Education is the key to move forward in any society. It instills awareness in the masses and brings stability in the society. Whenever a leader of any family martyred, it’s the responsibility of the society to take care of the education of his kids. Education division ensures the proper education of all the kids of the martyrs. * Provide proper educational guidance to children of martyrs. * Provide moral and financial support. * Provide better career options to students. * Prepare students for, ever changing educational trends. * Provide Finance Division with preemptive budgeting of educational funds. Apart from the common day to day needs and necessities, the most important thing that is worst affected in the longer term is the educational career of the children of the bereaved families. This fact becomes particularly important, if seen in the light of the cut-throat competition of the modern day world. Children are the architects of the future. Their capabilities determine not only the fate of their families but also are a guarantee of the collective uplift of nation. For only a human resource equipped with exceptional excellence can contribute towards the making of a vibrant economy and strengthened nation. If the untapped potential of Children and youth is effectively harnessed, it has a manifold effect. They can easily be groomed into useful professionals, contributing citizen of Pakistan and capable soldiers of Imam-e-Zamana (May our lives be His ransom). 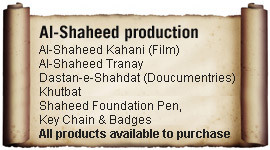 Very much cognizant of these facts, Shaheed Foundation attaches special importance to the education of Shohada families’ children and youth. Education Department of SFP works with the objective to provide a complete career road-map to our children by making thorough consultations with the professionals and specialists of relevant fields and facilitate them both financially and morally in attainment of professional excellence. This is an uphill and daunting task given the fact that quality education is equally expensive to impart too. We welcome professionals of the millat from all spheres to voluntarily extend their co-operation and devote their precious time and expertise in our noble endeavour. We also welcome the philanthropists of the millat to sponsor the Education of Shohada Children and carry forward the mission of martyrs. All queries and suggestions are welcome. Details can be furnished from our official number posted on the website. The aim of Shaheed Foundation Pakistan is not only to provide financial support to the families of martyrs but also to provide spiritual support. * Provide Islamic knowledge in the shape of regular course to the families of martyrs specially children. * Provide monthly “Tahira” and monthly “Mujtaba” regularly to the families to induce reading habit as well as Islamic knowledge to them. * Provide sense of competitiveness, confidence, and achievement to the children by arranging annual programs in which debates, quiz competition, tableaus, noha and Salam recitation and prize distribution was held. Medical department is responsible to solve the medical problems of Shohada families. More then 10 Doctors are on Pannel and families consult those doctors with thier Medical ID cards. Three Hospitals are also on Pannel. SFP Doctors Team is trying to increase the pannel of Doctors and Hospitals. Medical Department is also responsible to arrange medicines for the families. * To publish and propagate the thoughts and courage of martyrs. * To arrange different seminars, gatherings, etc for highlighting martyr’s courage and thoughts. Arrangements have been made for the special participation of martyr’s families in such gatherings. * To release documentaries and print material on different tragic events that involves mass killings of shias. The recent in the series is the release of documentary on tragedy of Therri, which took place on June 1963 and involves martyrdom of 118 momineen. * Fund raising and proper maintenance of all financial matters of foundation. * Proper dispatching of funds to the families. 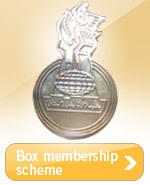 * Publicity of monthly membership schemes and box project.